WITH my summer holidays approaching I thought I would leave you with a few inspiring choice words. Instead, my thoughts turned to what people say in their final moments, when the grim reaper is out for your hide: Not that I am planning a perilous vacation. The crux of it all, of course, being that we cannot actually verify the quotations with the source itself but have to rely on third party reports. Many people in history have resorted to the drinks theme. 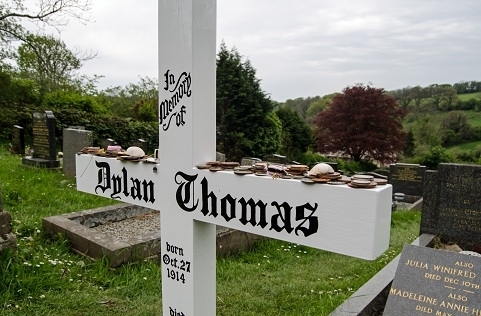 In his final moments, Humphrey Bogart lamented: “I should never have switched from Scotch to Martinis,” while the poet Dylan Thomas was quoted as departing this world with “I’ve had 18 straight whiskies. I think that’s the record,” back in 1953. Denial features heavily too: Actor John Barrymore reportedly stated: “Die? I should say not, dear fellow.” Roman Emperor Gaius Caligula triumphantly exclaimed: “I am still alive!” having been attacked by his own guards; quite a remarkable assumption since he was allegedly stabbed a whopping 30 times. Since you may be remembered by your final words, a single-word curse is probably inadequate and somewhat lacking in finesse. But if lost for any extended verbal inspiration, you may want to go with: “I love you” – a sure winner, even if the words are illogically delivered to a baffled paramedic. But perhaps we have most to learn from the revolutionary socialist and philosopher Karl Marx who succumbed to bronchitis and pleurisy with the words: “Go on, get out – last words are for fools who haven’t said enough.” Happy Holidays!